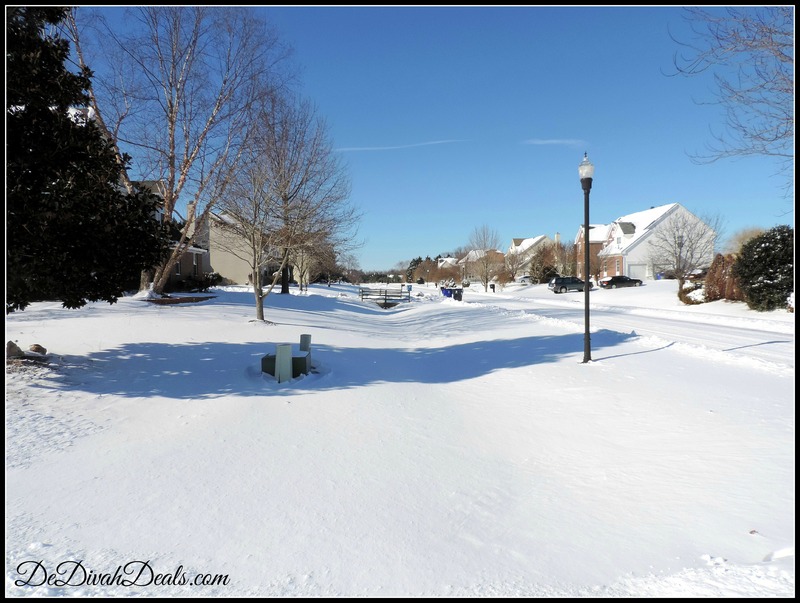 If you read my post yesterday you know that we were once again hit with a major snowstorm on Tuesday. It took me over 5 1/2 hours to get home from work and I definitely didn’t want to be in the car anytime soon so I stayed home on Wednesday. At 10:00 a.m. Governor Markell lifted the Level One State of Emergency but it was highly recommended to stay off the roads so that the snowplow operators could do their jobs with minimal interruption from cars. 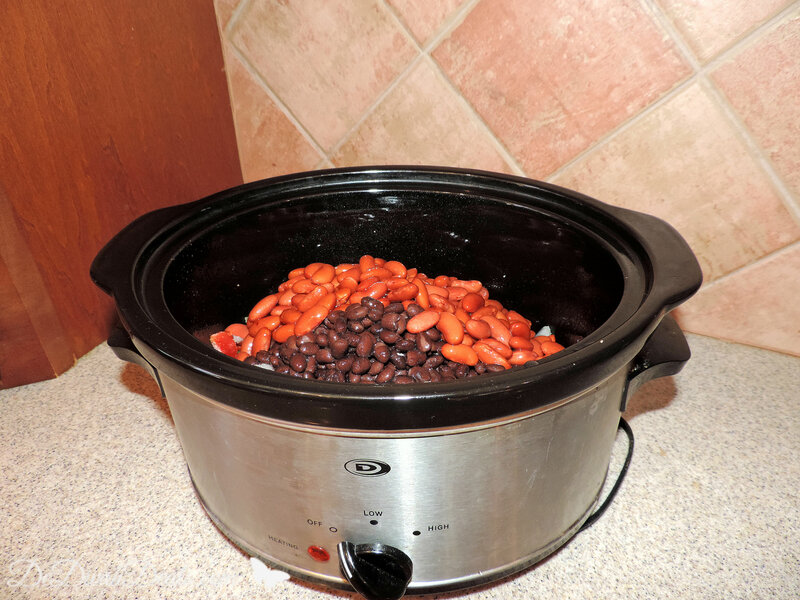 So on this day, I am thankful for my family, friends and faith…for getting home safely…for having a warm home to live in…and for scrounging around to find these ingredients to make this easy peasy Crock Pot Meal! 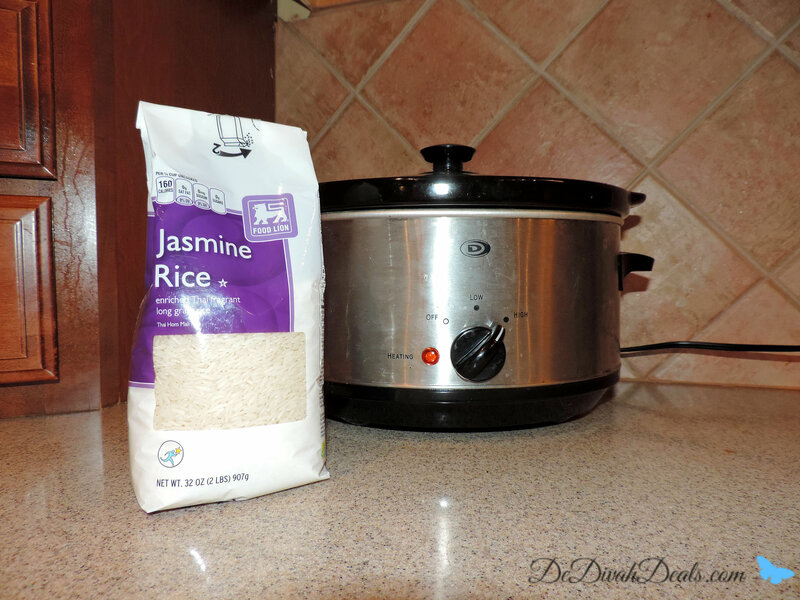 Spray Crock Pot with Cooking Spray for easier cleanup. 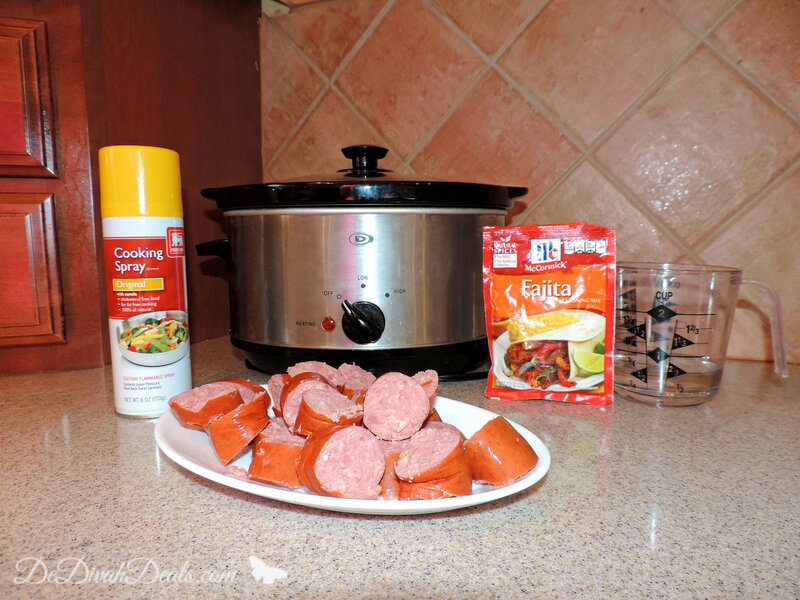 Cut Turkey Sausage into bite size pieces and add seasoning to a 1/2 cup of water. 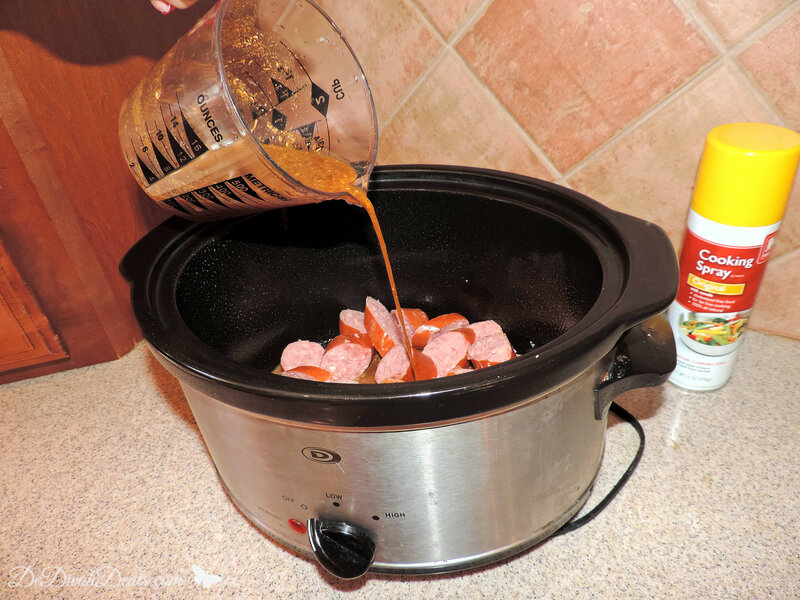 Put sausage into Crock Pot and pour in Fajita Seasoning mix. Add frozen veggies and both cans of beans, which can be drained and rinsed to remove some of the sodium. Stir, cover and cooked on high for 4 hours. 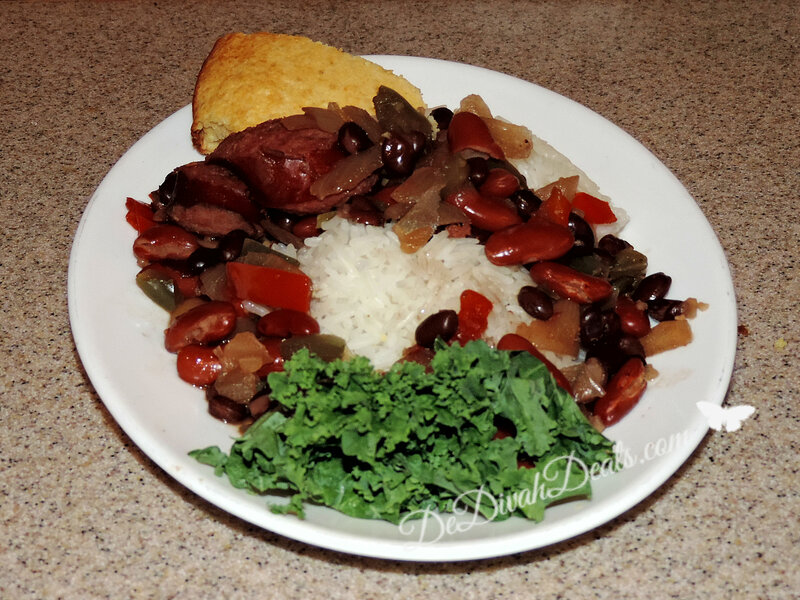 This Snow Day Slow Cooker dish was served with Jasmine Rice and skillet Cornbread. It was a perfect meal for my men after a few hours of shoveling and an all-day of television watching! 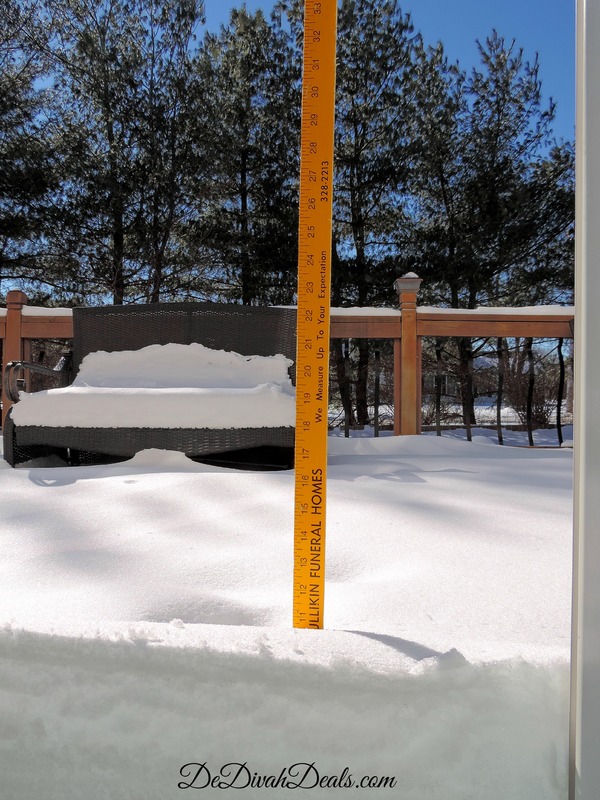 I measured the snow on the back deck so I’ll say that we unofficially got 11″ of snow….can’t wait for Spring to arrive! The Pool is not looking too inviting these days! We are truly blessed, and I am thankful to have a warm home during this cold winter season. I pray for those with less to be safe and removed from harm’s way. Okay, it’s your turn – what are you thankful for this week? I used to live in New York, and I don’t miss all that snow! smh ….that meal sure looks yummy though. Thank you, yes, I know what you mean. I can’t wait to retire to somewhere warm and no snow in the winter! Have a great Fri-Yay. That meal looked delish. I can’t wait for spring ti arrive either. I am thinking Spring but seeing Snow! I don’t mind the snow because it’s pretty but it’s a mess to drive in and there are too many speed demons on the road! Have a wonderful weekend! Thank you and you have some wonderfulness going on at your blog. I would love for you to share a post at our #WWDParty tonight. Come back to my blog after 6 to link up if you get a chance. This is a long, wicked winter and I think there’s no end in sight! Isn’t it great when you get make a good meal out of everything you have on hand? Looks delicious, Antionette! Thank you, I am thinking Spring no matter what, but you are correct, we still have February which is the worse month in the winter so we are sure to have more snow soon. I am thankful for my grandmother who taught me how to cook from anything on hand. Enjoy your day and stay warm! I love your recipes, please come back to my blog after 6 to link up and share at our #WWDParty if you get a chance. Thank you my dear, it was by far the worse commute of my life! Happy Fri-Yay!! That looks delicious! I can’t believe how much snow you got! We have a dusting here but none of it really stuck. That’s didn’t stop us southerners from freaking out though! I went to the grocery store the night it snowed and all the eggs were gone. hehehe. No eggs!!!! Oh no….lol You are definitely lucky not to be experiencing all this cold snowy and now icy madness. It wouldn’t be so bad if I could stay home and hibernate, but during the week I can’t without losing a day’s pay. Once I get home tonight, I am not leaving the house until Monday! I hope you enjoy your Fri-Yay! That looks ridiculously delicious! I’m legit salivating! And thank you for the heads up about the #WWDParty ! I will be back to linkup and check it out! THANKS!! 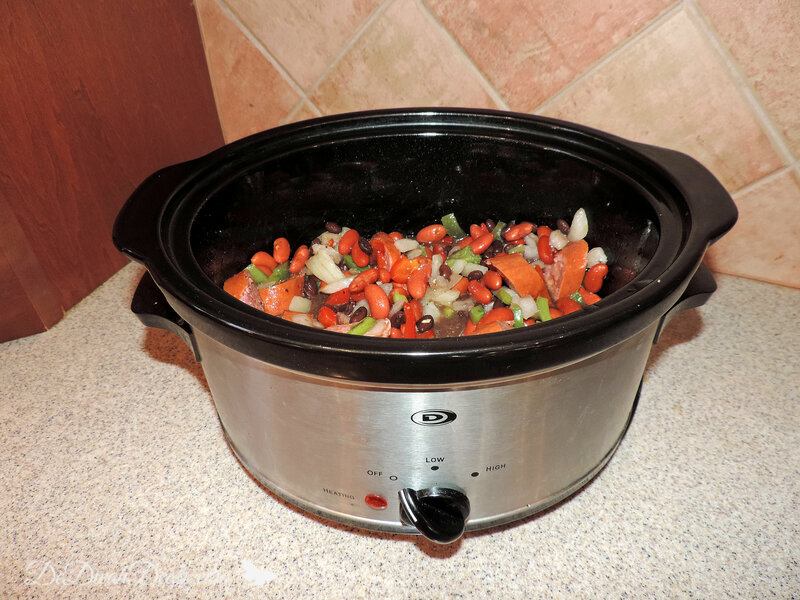 Thank you, it was one of those days that I didn’t feel like cooking which is why I love the Crock Pot – fix it and forget it! Have a great Fri-Yay and I’ll see you at the #WWDParty tonight. I know what you mean, I am on the “think Spring” train! Have a great Fri-Yay and I’ll see you at the party tonight. That meal looks delicious! I don’t really miss snow at all! Thanks and I don’t blame you, one day I hope not to miss it either! It has been a cold, rough winter this season. 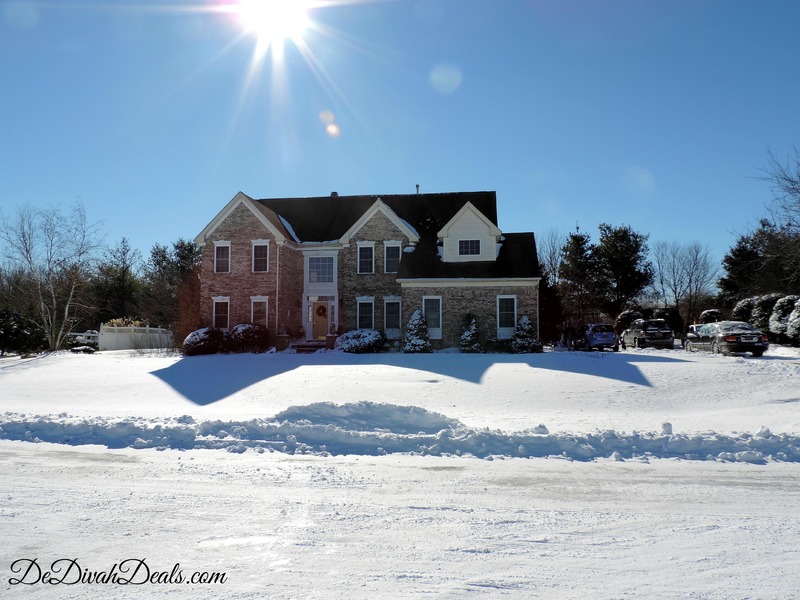 The snow is beautiful and so is your home. 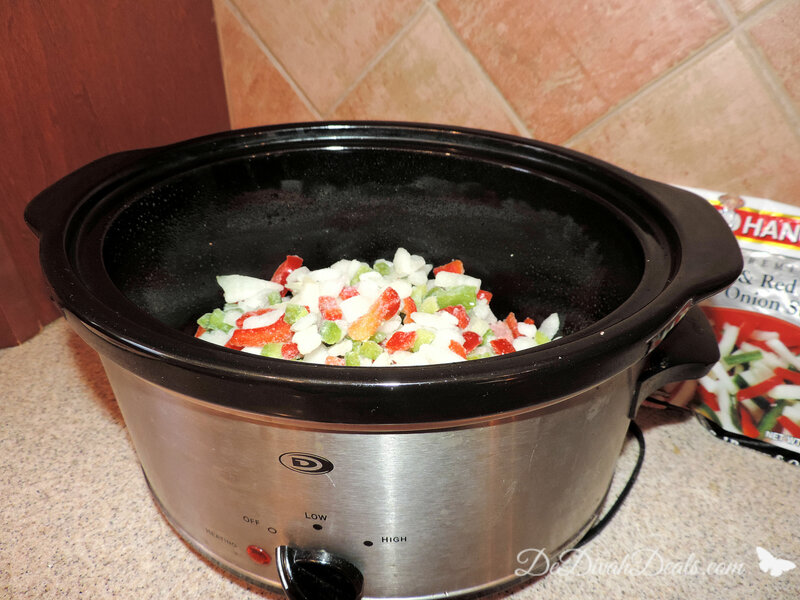 My crock pot is one of my kitchen favorites. Thanks my dear. Have a wonderfully warm weekend! oh, thank you….just a little sumptin sumptin to feed my men! Happy Fri-Yay! 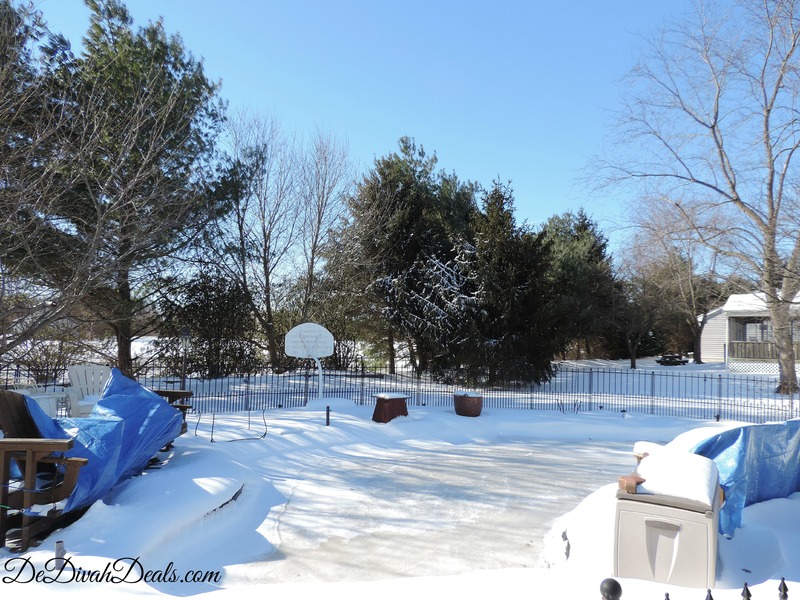 My door is always open…come on over and bring a shovel and a spoon! Happy Fri-Yay! I think I heard we are getting snow again tomorrow. Our pool looks like yours! I can’t believe it took you 5.5 hours to get to work. That is awful. I remember back years ago a few times it took me 3 hours to get to work and 3 hours to get home on bad snow days and I finally just told my boss that he needed to get me a laptop because I wasn’t doing the drive anymore when it was bad out!! 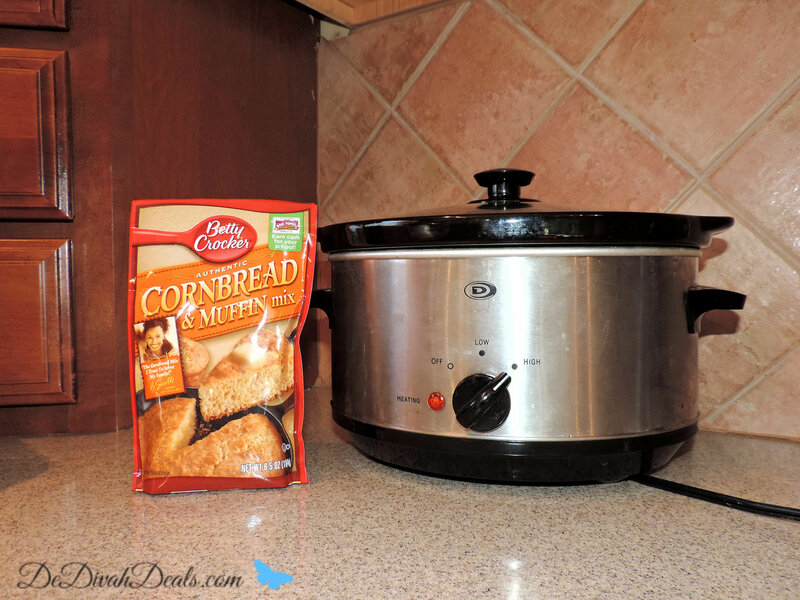 I need to get the crockpot out this weekend!! Your recipe looked delicious! Thank you, I used to have the opportunity to work from home but my position changed so now I have to be in the office. 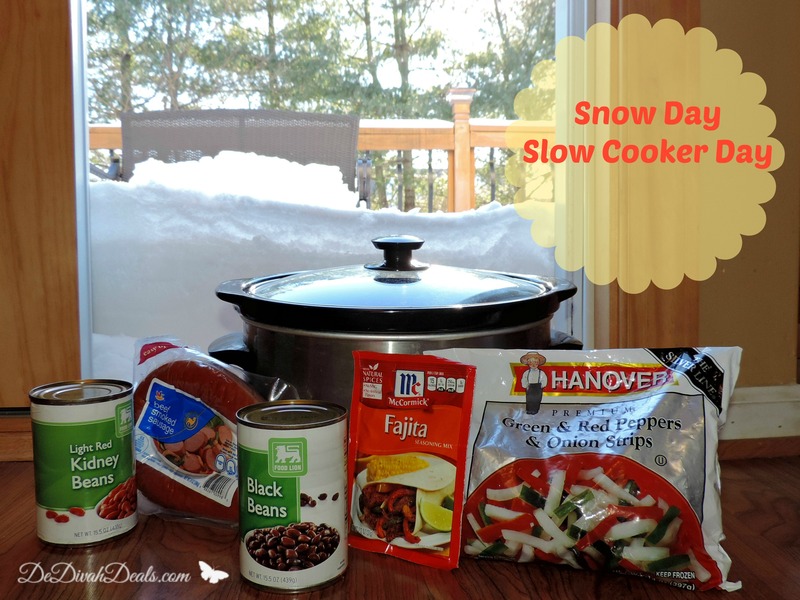 It’s snowing again today so the crockpot is on, what are you cooking today? Thankful for another day with loved ones and I think I will add this recipe to my winter meals recipe box. Good, everyday we wake should be one of thanks! Have a wonderful week.